Our understanding of the nature of light took a giant leap forward in the second half of the 1800’s with the help of the Scottish physicist James Clerk Maxwell. Maxwell was interested in a multitude of scientific problems that included electricity and magnetism. He first published articles on these subjects in 1855, then compiled his work in 1873 into a book entitled Treatise on Electricity and Magnetism, which is now considered a classic in the field of matter. In 1863, Maxwell discovered that by manipulating equations for electricity and magnetism, it was possible to extract a value that corresponded to the speed of light. Surprised by this result, he began to suspect that light, electricity and magnetism were one and the same. To follow up on this idea, he developed new equations for electricity and magnetism and concluded that not only is light a wave – as demonstrated by Thomas Young more than 50 years earlier – but an electromagnetic wave. The discovery that light possesses both electric and magnetic components proved to be of paramount importance. Maxwell went on to reason that invisible electromagnetic waves exist beyond the visible and ultraviolet light spectra, but sadly he did not live long enough to test his idea. 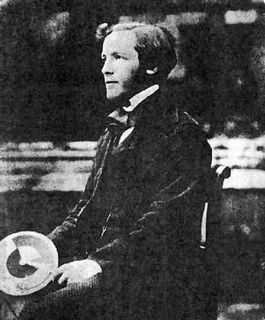 Maxwell died in 1879, not long after developing his theory. 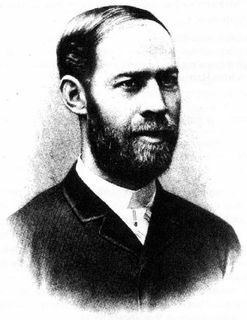 The year of 1888 provided the consecration of Maxwell’s work when the German physicist Heinrich Rudolf Hertz succeeded in demonstrating three important facts: that electricity can be transmitted by electromagnetic waves, that these waves travel at the speed of light, and that their wavelengths are a million times the length of visible light and ultraviolet waves. Hertz labelled these new waves “radio waves”, and their discovery was put to beneficial use in the development of the telegraph and the radio. Today, the electromagnetic spectrum is known to extend far beyond the colours of the rainbow, as shown in the diagram below. The portion of the electromagnetic spectrum that we can see with our eyes is tiny with respect to its full extent. If the electromagnetic spectrum was a window 30 million kilometres long, we would only have to open it three centimetres to let in all the visible light. The electromagnetic spectrum is continuous but scientists have divided it in an artificial manner for practical reasons. The divisions were mainly established by the limitations of the various techniques used to detect wavelengths. For example, the limits of the visible light range is defined by what our eyes can detect. Although other electromagnetic waves – radio waves, infrared light, ultraviolet light, X-rays and gamma rays – represent “colours” that are invisible to us, they are nonetheless forms of light. The electromagnetic spectrum is the distribution of electromagnetic radiation according to frequency or wavelength. Thus, visible light, gamma rays and microwaves are really the same thing. They are all electromagnetic radiation; they simply differ in their wavelengths. The electromagnetic spectrum is something that is more familiar than one might think. The light that our eyes can see is actually part of the electromagnetic spectrum. This visible part of the electromagnetic spectrum consists of the colours we see in a rainbow - from reds and oranges, through blues and purples. Each of these colors actually corresponds to a different wavelength of light. The main picture represents the electromagnetic spectrum. Click the red dots in the spectrum to see images or representations of the frequency chosen. 10-2m : 1 cm (from the Latin word for hundred) This is about the same size as a pea. 104m : 10,000 metres or 10 kilometres Measured in metres, this represents 10,000 metres or 10 kilometres–the diameter of a celestial object that crashed into the Yucatan Peninsula 65 million years ago causing the extinction of the dinosaurs. 106m : 1,000,000 m or 1,000 kilometres Measured in metres, this represents 1,000 kilometres–the diameter of Ceres, the largest asteroid in the asteroid belt between Mars and Jupiter. 108m : 100,000 kilometres Measured in metres, this represents 100,000 kilometres–the distance by which asteroid 1994 XM missed the Earth in 1994. 1010m : 10 million kilometres Measured in metres, this represents 10 million kilometres–the thickness of the Sun's corona. A solar corona is the outer layer of a sun's atmosphere. It resembles a halo of pearly light and is only visible during total eclipses of the Sun. 1012m : 1 billion kilometres Measured in metres, this represents 1 billion kilometres–the approximate distance travelled by the Earth around the Sun in one year. 1014m : 100 billion kilometres Measured in metres, this represents 100 billion kilometres–the distance separating the Earth from the heliopause, the outer limit of the solar system where solar wind is stopped by the interstellar medium. 1016m : 10,000 billion kilometres Measured in metres, this represents 10,000 billion kilometres–the distance travelled by light in one year, also known as 1 light-year. 1018m : 100 light-years Measured in metres, this represents 100 light-years–the diameter of nebula NGC 7000, also known as the "North America Nebula". 1020m : 10,000 light-years Measured in metres, this represents 10,000 light-years–the distance separating us from globular cluster M22. 1022m : 1 million light-years Measured in metres, this represents 1 million light-years–the average distance between galaxies. 1024m : 100 million light-years Measured in metres, this represents 100 million light-years–the distance between us and galaxy NGC 5850 in the Virgo constellation. Gamma rays The most energetic form of light. Invisible, it is generated by subatomic particles or atomic nuclei. Radioactive chemical elements produce gamma rays. X-rays Highly energetic invisible light that can pass through many types of material. This quality enables it to be used (in small doses) for medical imaging. Ultraviolet Energetic invisible light found just beyond the colour violet in the electromagnetic spectrum. Prolonged exposure to ultraviolet light can cause health problems in the human body, particularly for the eyes and skin. Luckily for us, a large amount of ultraviolet rays produced by the Sun is absorbed by ozone, one of the gases in our atmosphere. Visible Light that can be perceived by the human eye. It includes all the colours of the rainbow, from violet to red. Infrared Invisible light that lies just beyond the colour red in the electromagnetic spectrum. It is often associated with heat because most objects at ambient temperature will emit infrared light when heated. Microwave (1 mm - 1 cm) Relatively non-energetic invisible light. It is used for a wide variety of technological applications. In microwave ovens, for example, it agitates water molecules, creating heat and thus warming the food. Radio (1 cm +) Relatively non-energetic invisible light. Radio waves are mainly used in the field of communications because they can travel easily and are not absorbed by the atmosphere. Radar (1 cm - 10 cm) Invisible light used to detect objects, like planes, boats or even rain. TV (10 cm -1 m) Invisible light that carries television signals. FM (1 m - 10 m) Invisible light that carries FM radio signals. Short (10 m - 100 m) Invisible light that carries, among other things, amateur radio operator signals. AM (100 m -1 km) Invisible light that carries AM radio signals. Transportation (1 km +) Invisible light that carries, among other things, radio signals used for navigation (for example, aircraft and shipping bands).